LoanWell helps you create loans between you and people in your community and repay them automatically. Instead of high interest bank financing, LoanWell helps you get a cheaper loan while people in your community earn the interest. In cases where you’re trying to fundraise from lots of different people, you’ll be using our crowdfunding campaign system. This system works a lot like Kickstarter, GoFundMe, or Indiegogo. 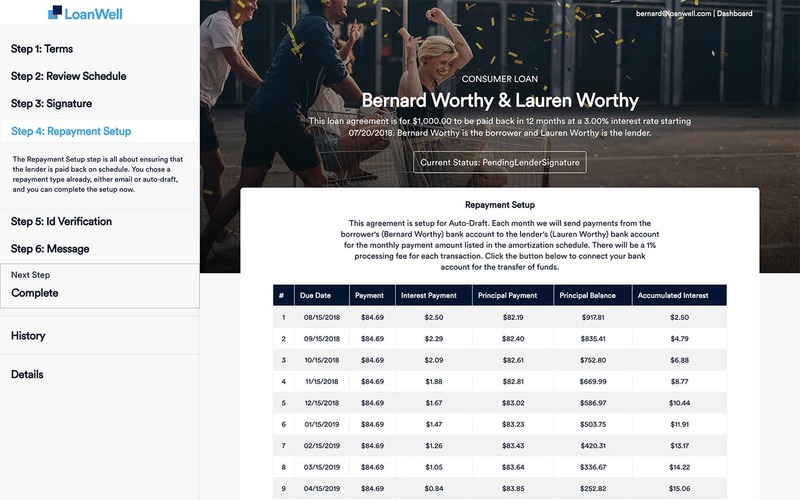 You’ll create a campaign with information about why you’re trying to borrow money, and then you’ll invite people in your network to contribute to your campaign through a special link that you’ll receive. When you’re only borrowing from one person at a time, you’ll be using our basic loan system. You and another person will decide how much money is changing hands, when you will start making payments back to the lender, and what the interest rate on those payments will be. 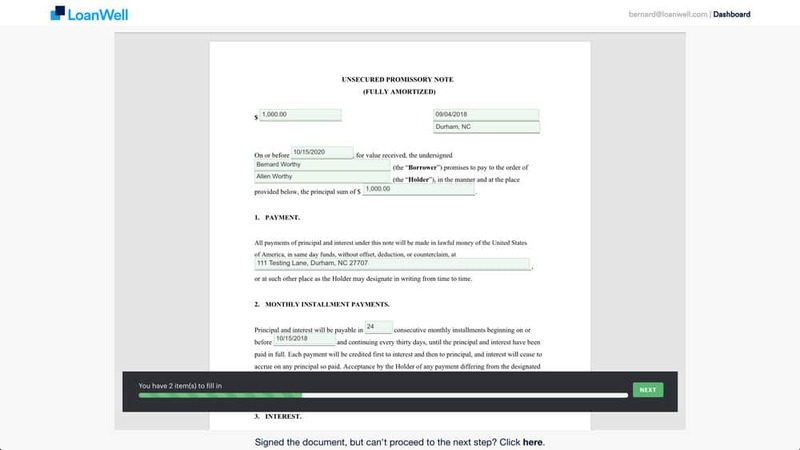 LoanWell Campaigns work a lot like other popular crowdfunding services. But instead of hoping your community can give you the money, you offer your supporters the opportunity to lend you the money and get paid back. Check out what a campaign page looks like by clicking the button below. You can create your own campaign using this one as a template. With the knowledge in mind that their money will be coming back to them somewhere down the line, people will be more willing to invest in you and your dream. Our platform can give your network the feeling of safety and security they need to open their hearts -- and their wallets -- to help you reach your goals. It’s a lot easier to get people to contribute to a loan when all they have to do is click a button. 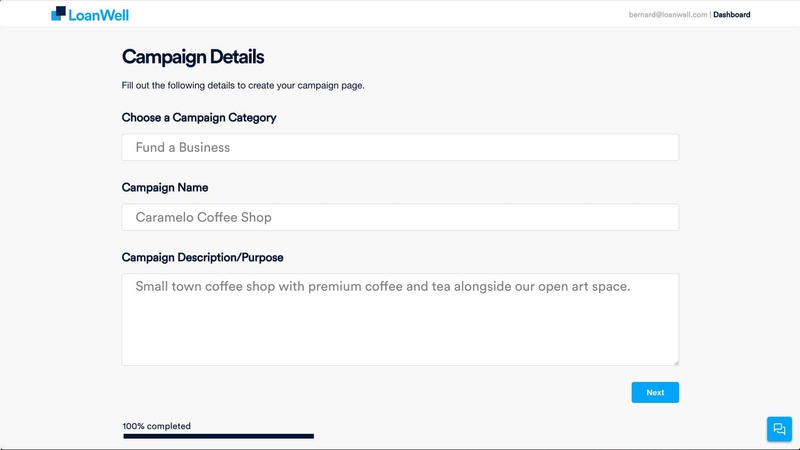 You can share your campaign throughout your network, letting you involve as many people as possible and raising the amount of money you’ll be able to loan. When your campaign ends, LoanWell helps you pay your supporters back automatically each month. Don't settle for high-interest bank loans! Our users pay below market interest rates (saving thousands) and their community earns that interest instead of the bank. It takes just minutes to put together a campaign. Our support team is also here to help you every step of the way. In cases where you’re contributing to a larger loan alongside many other lenders, you’ll be using our crowdfunding campaign system. This system works a lot like Kickstarter, GoFundMe, or Indiegogo. 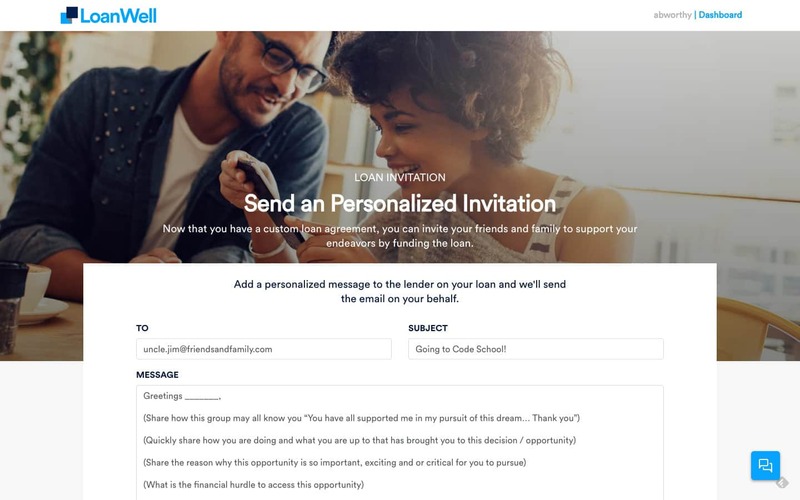 Your borrower will create a campaign with information about why they’d like to borrow money, and then you’ll receive a personal invite from them to contribute to their campaign through a special link. When you’re the only person lending to a single borrower, you’ll be using our basic loan system. You and your borrower will decide how much money is changing hands, when the other person will start making payments back to you, and what the interest rate on those payments will be. We've made it as easy as possible to pay your loans back on time with auto-drafted payments. Our system makes one monthly withdrawal from the borrower's bank account and deposits the appropriate amount into the lender's/lenders' bank account. LoanWell takes the stress out of paying back and getting paid back. For an agreement between you and one other person, choose the one lender option. If you are looking to fundraise from more than one lender choose the many lenders option. For all transactions (monthly payments and balance transfers), there is a 1% processing fee. 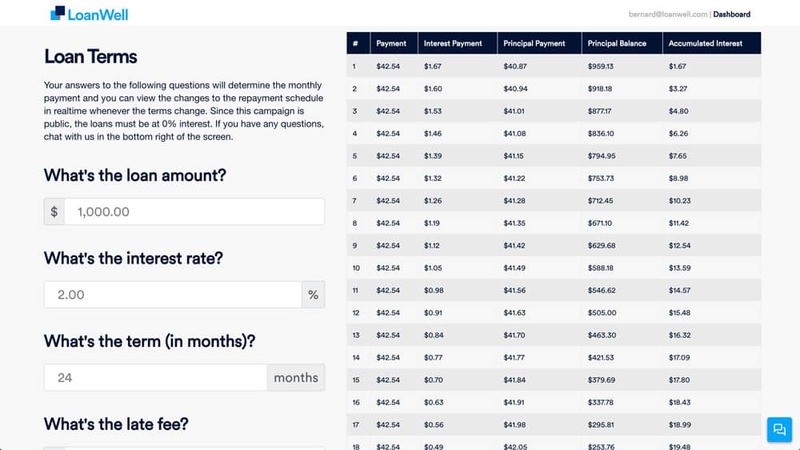 Ex: If the monthly payment is $100, there will be a $1 fee to process the payment from one bank account to another. You will now be redirected to PayPal to complete your transaction. If you would like to pay with a card scroll down below the PayPal login on the next page and click the "Pay with Debit or Credit Card" button. undefined loan credit(s) will be added to this account. Click the button below to be taken back to your loan agreement. Dana Walker went from a bakery to code school and is now a software engineer at Red Hat thanks to LoanWell.